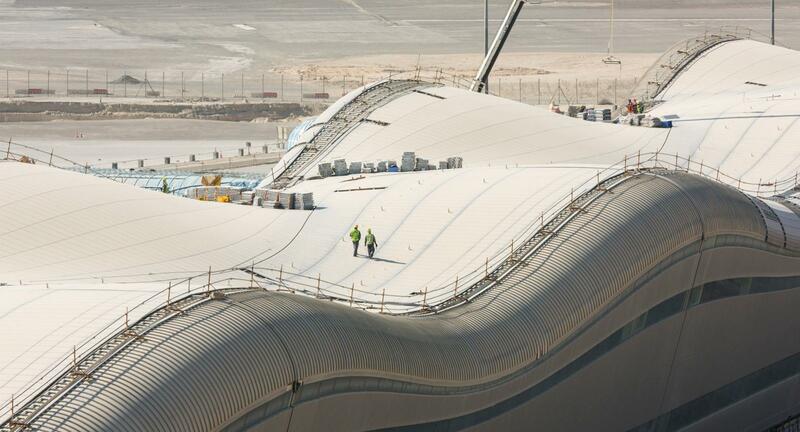 Because of the complexity and scale of the project, the client, the Abu Dhabi Airports (ADA), required the main contractor awarded the contract to develop, communicate, and share a comprehensive BIM solution for all disciplines – including subcontractors and manufacturers. Using a BIM-driven process would facilitate the delivery of the project through the entire project lifecycle – and ultimately help to minimize risk and to ensure project success. The data contained in ProjectWise, which is tightly integrated with other engineering systems, is used to drive all other BIM processes. For example, employing AECOsim Building Designer for 3D modeling, stakeholders performed highly accurate material take-offs using data embedded in 3D models. “ This approach allowed us to reduce the number of people needed for the quantity surveying team by 90 percent – from 60 people to six,” stated El-Absi. BIM workflows also reduced the man-hours needed to develop shop drawings. “We managed to save 119 days and USD 65,000 in the production of shop drawings for just one blockwork zone. And this is just the ROI for using this technique on one zone for one discipline. The project has about 120 zones,” added El-Absi.